Asante Kotoko has resigned Samuel Paa Kwesi Fabin as the head coach of the club ahead of the 2017/18 Ghana Premier League season. 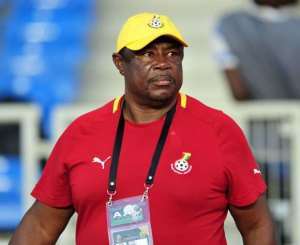 The former Black Starlets trainer worked with the Porcupine Warriors between September 2010 and November 2012 before he was replaced by Black Stars "B" coach, Maxwell Konadu. Fabin replaces Steve Pollack after he failed to qualify the club to the next round of the CAF Confederations Cup. The former Hearts of Oak gaffer is expected to be introduced to the players and management of the club tomorrow [Monday, February 26, 2018] at the training grounds.